Rev. 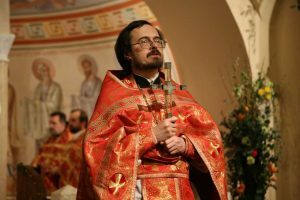 Dr. Vladimir Khulap, born in 1973, studied Orthodox theology (St. Petersburg) and Catholic theology (Regensburg, Germany). Priest (since 2006), parish of Fedorovskaya Icon (St. Petersburg). Vice-rector and chair for practical theology at St. Petersburg Theological Academy (since 2009). Member of the Biblical-Theological Commission and Conciliar Comission (rus. Mezhsobornoje prisutstvie) of the Russian Orthodox Church (since 2009). Director of the Institute for Social Education at the Russian Christian Academy for the Humanities in St. Petersburg (since 2015). Participant in official dialogue with the Evangelical Church in Germany, Episcopal Conference of Germany, Evangelical Lutheran Church of Finland, and others. 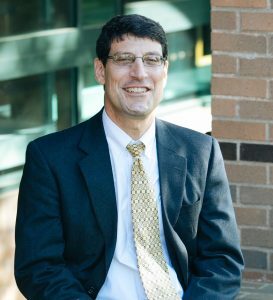 James C. Skedros is dean of Holy Cross Greek Orthodox School of Theology (Brookline, USA) the Michael G. and Anastasia Cantonis Professor of Byzantine Studies. He has been on faculty at Holy Cross since 1998. He received his undergraduate honor’s degree from the University of Utah in Political Science and Middle Eastern Studies (Arabic). Professor Skedros received his Th.D. from Harvard Divinity School in the History of Christianity. From 1996 to 1998 he was Assistant Professor of Orthodox Studies at the Graduate Theological Union in Berkeley, USA. His teaching and research areas include popular religious practices in Late Antiquity, Byzantine Christianity, the lives of early Christian and Byzantine saints, and Christian-Muslim relations. In addition to his book on the historical development of the veneration of the early Christian martyr Demetrios (St. Demetrios of Thessaloniki: Civic Patron and Divine Protector, 4th-7th c. CE), he has published several journal articles as well as entries in references works and in books dealing with the veneration and commemoration of saints. He is a double recipient of a Fulbright Fellowship, both for the study of Byzantine saints in Thessaloniki, Greece. The Orthodox Theological Institutions Group of IOTA seeks to promote theological education in the service of Church and society in order to address contemporary challenges increasingly facing Orthodoxy. Among the more pressing issues are secularization, globalization, and anthropological views that question traditional understandings of human identity. Orthodox theological schools must be committed to providing students with the highest level of serious and rigorous theological education, as well as a full spiritual, liturgical, and pastoral grounding in the Church. The graduates of our theological institutions need to have the best possible education and formation in order to respond to the questions being posed by contemporary society. Therefore, the emphasis in our schools and institutes cannot simply be on preserving the faith, but must include evangelism, apologetics, encountering, engaging with, and challenging the world—for the salvation of our young people and the world. It is with a spirit of evangelism, in the apostolic sense of the word, that we can best carry out our responsibility as educators. Many of our theological schools consist of a diverse student body, which brings with it a variety of views and experiences of society. Theological institutions, once “walled off” from society (especially ecclesiastical seminaries), have been for decades open institutions of spiritual and theological growth and questioning. Students bring varied questions and attitudes to the study of theology and to the foundational texts (scriptural, patristic, dogmatic, creedal, etc.) of the faith. Their contextual education often occurs outside of the grounds of the seminary; students are engaged in learning experiences that integrate local social and economic contexts into their education. Book learning is still fundamental, but engagement with society constitutes a key element of theological education. With the precipitous changes in societal norms, social and cultural presuppositions have eroded and traditional conceptions of authority often no longer exist among the students whom we are called to educate and form. However, at the heart of what continues to drive students is their quest for a meaningful Christian life for themselves, the Church, and the world. Orthodox theological educational institutions are often isolated from each other due to national, linguistic, and other barriers. The aim of the Orthodox Theological Institutions Group is to facilitate better cooperation among these institutions through creation of a database of theological educational institutions; by providing regular information about educational programs and scholarly conferences; and through the promotion of academic and student exchanges. The group hopes to strengthen communication both at regional (for example, in Greek, Slavonic, Middle Eastern as well as the Europe and United States context) and pan-Orthodox levels, to develop joint international scholarly and educational projects, and to integrate young women and men theologians into the educational process. Such connections will further the theological educational “koinonia”: a better acquaintance with effective theological educational models, development of joint inter-institutional educational projects (e.g. through e-learning technologies), translation of the handbooks and educational materials, etc. Theological education in different countries exists and develops in various contexts and institutional forms (seminaries, theological institutions, faculties at the higher educational institutions, etc.). The group would like to gather these experiences to share and examine the role of theological education in church and society (e.g., diverse educational models in the context of church-state relations), interdisciplinary cooperation between ecclesiastical and “secular” educational institutions, and creating effective educational strategies (educational methods, curricula, etc.) for an adequate theological response to contemporary challenges. We hope to promote the development of theology as an area of scientific knowledge and a complex of educational disciplines, improve the quality of teaching theology, and consolidate the scientific, organizational, methodological, and expert activities. In this case theological education can become an effective space for the interaction between the Orthodox theological tradition and contemporary society, science, social life, politics and culture.